Baby Belleek features beautiful gifts to celebrate the arrival of a new child. The early years bring so many memories: saving a lock of hair, the loss of a first tooth, the cherished image or collecting coins for their savings. Baby Belleek gifts perfectly display these memorable milestones. Made in Ireland of fine, handcrafted porcelain, Baby Belleek will become a treasured heirloom. 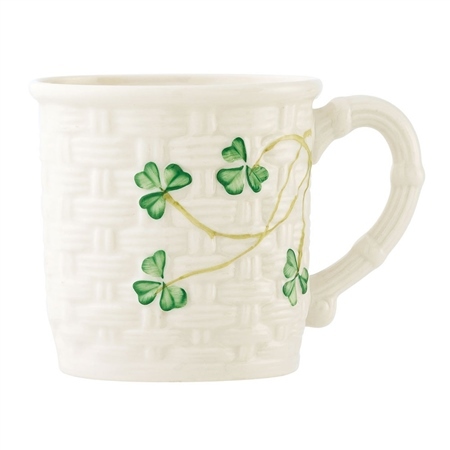 The Shamrock Baby Cup is beautifully designed and decorated with hand painted shamrocks.